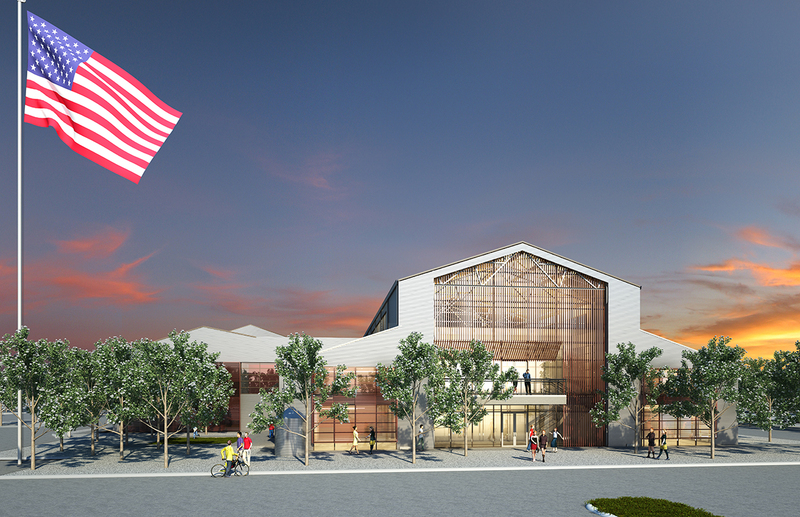 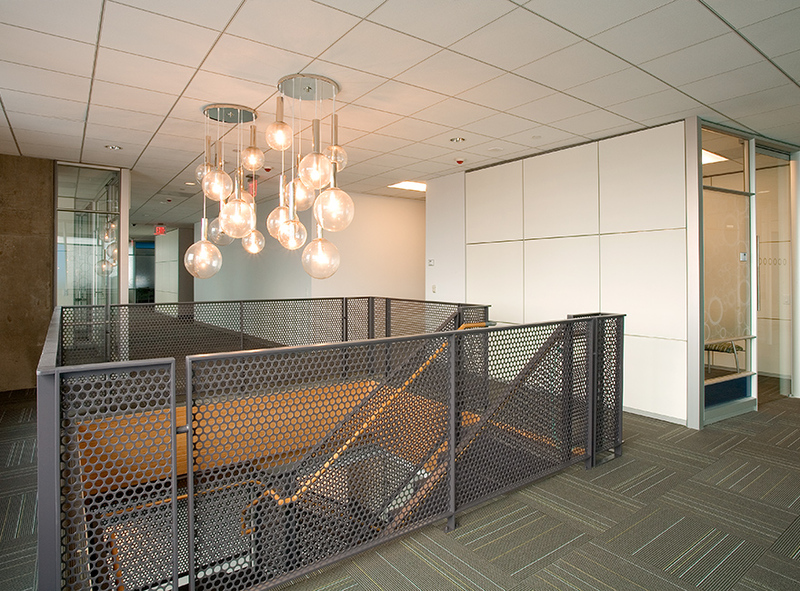 V&M Tubes has been awarded LEED(R) Gold established by the U.S. Green Building Council and verified by the Green Building Certification Institute (GBCI). 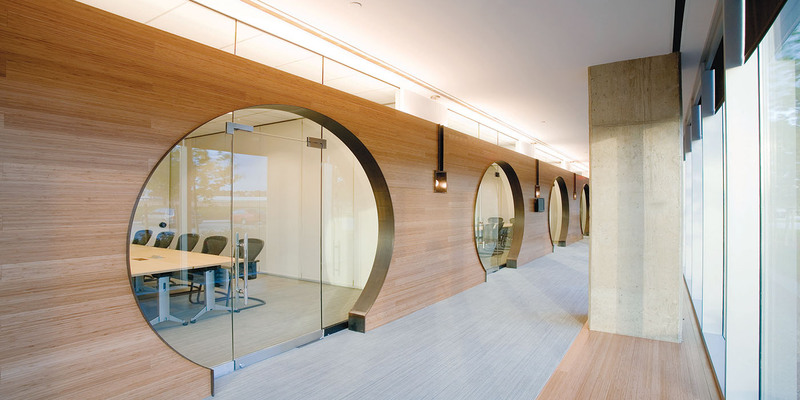 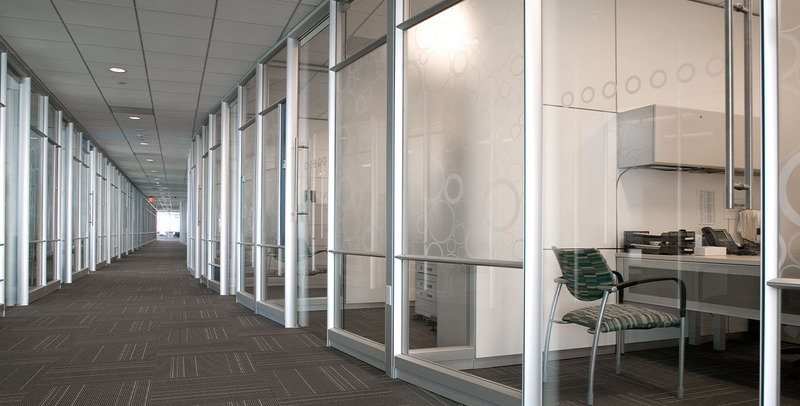 Glass demountable wall partitions were utilized extensively to maintain an open feel, promote communication between business divisions, and to allow for natural light to penetrate deep into the workspace. 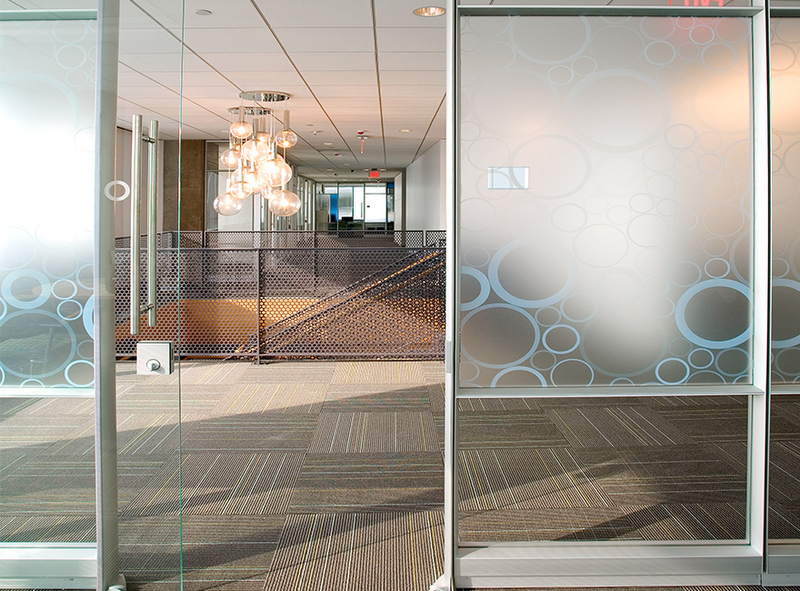 Blue accent panels tumble down the corridor, further deconstructing the uniformity of the rigid program. 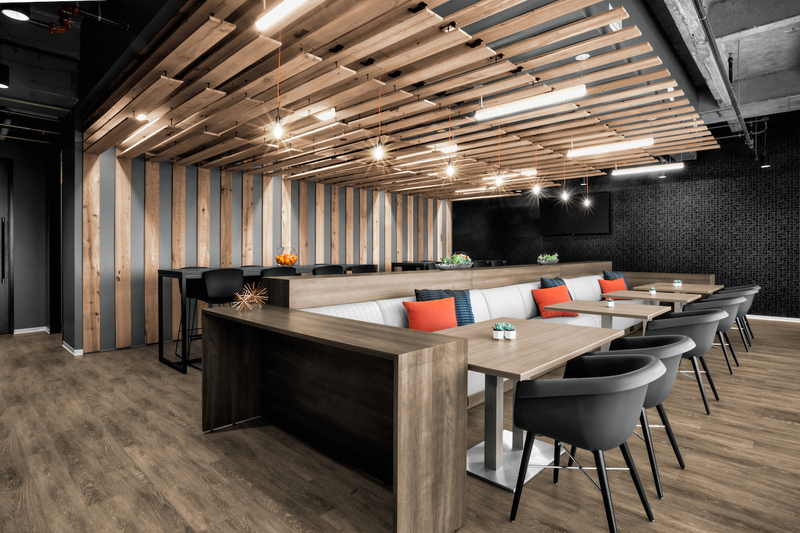 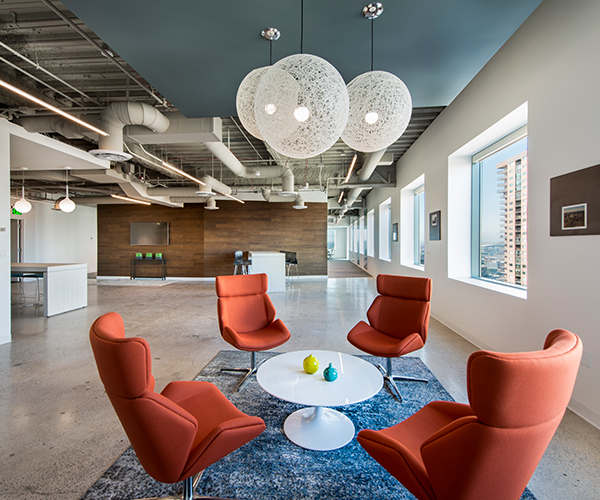 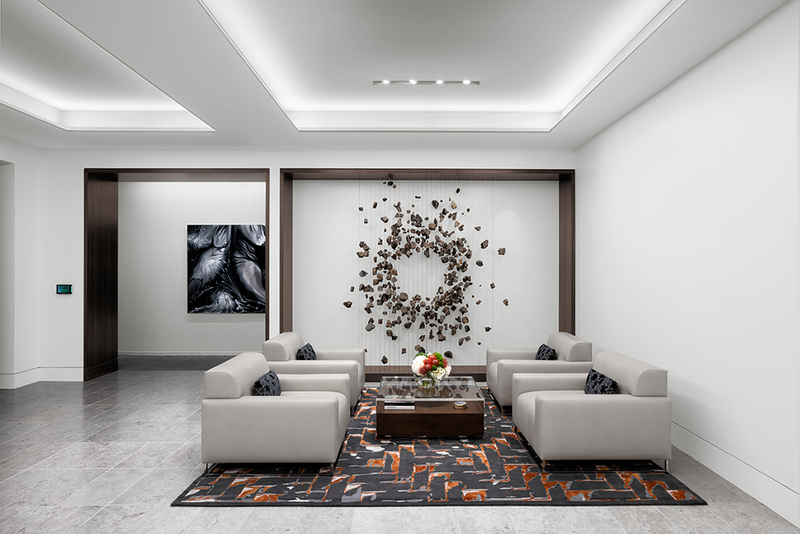 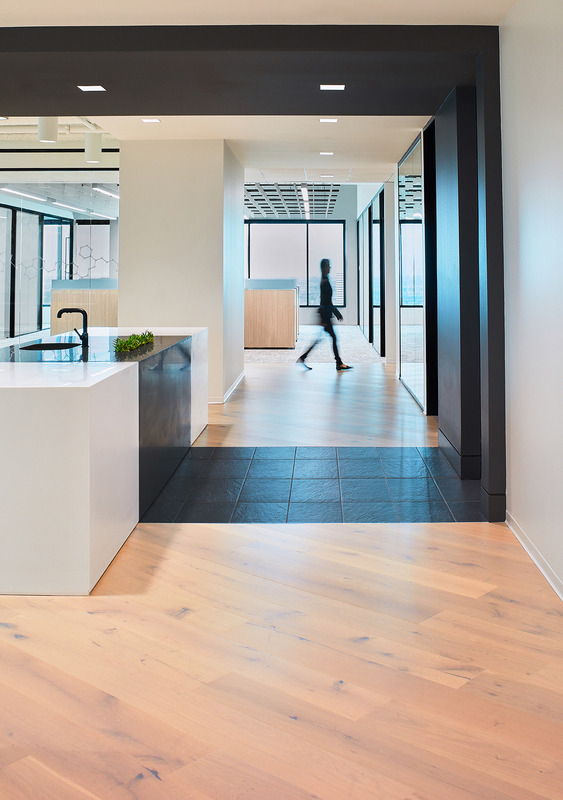 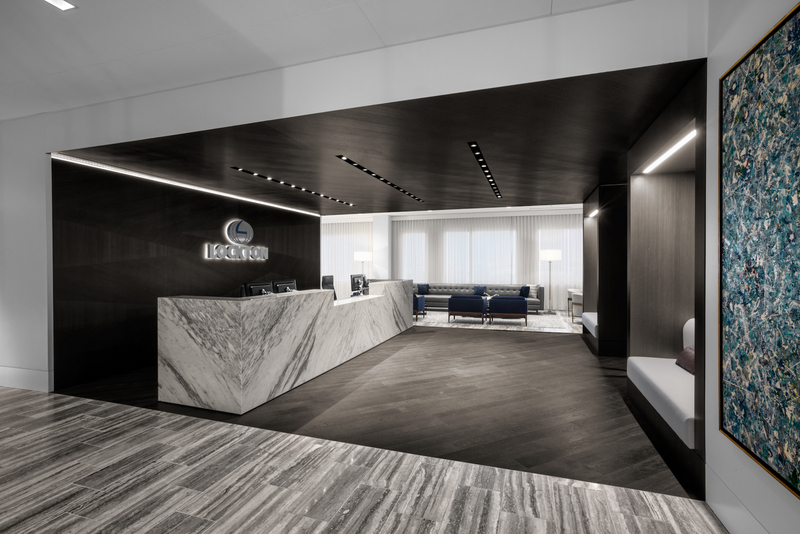 Sustainable materials, such as bamboo flooring, carpet with recycled content, and client provided repurposed tubing, work together to create a refined atmosphere.